Styrofoam is one of those manmade products that lasts forever in the landfill or ocean, so think about reusing it. This is a guide about reusing Styrofoam. 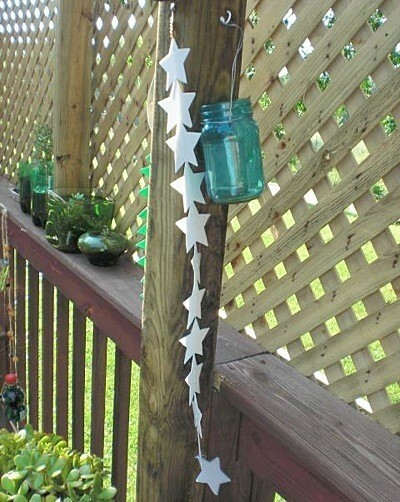 Make Styrofoam plates into cute hanging stars after rinsing and letting dry (or brushing off crumbs). I used a stencil of a star for my patterns and cut these out using craft scissors. They are strung on regular sewing thread with a few beads at the top. This is the result of only 2 plates! When planting hanging baskets, put Styrofoam peanuts in the bottom instead of stones. The plants do not stand in water and the baskets will not be so heavy. 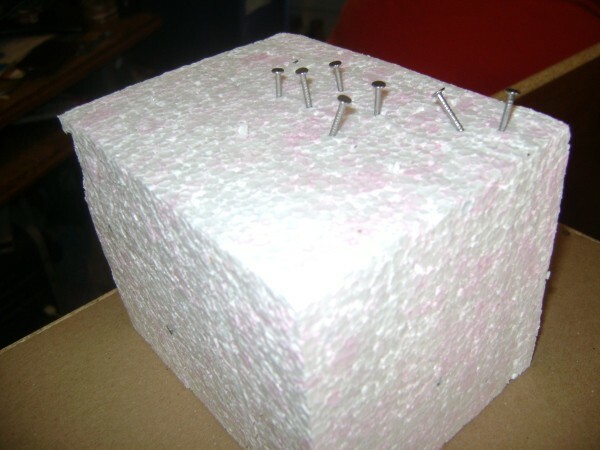 When assembling an item that comes with squares of hardware such as bookcases, you can put the nails and other hardware in the Styrofoam to keep them from rolling around. You can also arrange them as to which ones you need to be able to get to first. I've been doing a lot of crafting making small felt and cloth toys. They measure about 2 - 4 inches. With so many little pieces, I needed some way to keep track of everything. I'd been keeping foam meat trays (bleached and washed), trying to find a use. 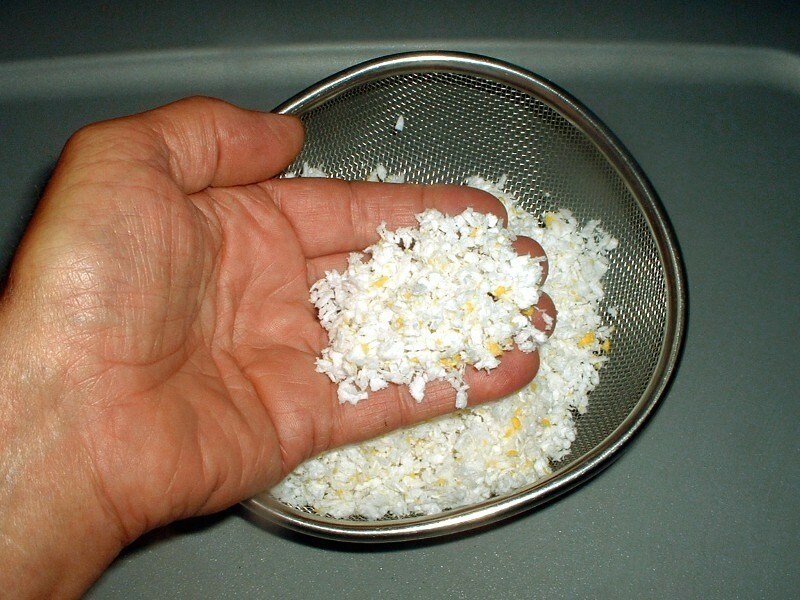 When filling huge flowerpots, reduce the weight and the amount of soil you need by filling the bottom with recycled Styrofoam peanuts or even chunks of Styrofoam. I get pieces when I need them from the dumpster behind a furniture and accessories store. I cut out the logos from the Styrofoam cups and cover them with see through plastic. I then glue them to a sheet (e.g.) a poem I made up and give as gifts. Or use as a scrapbook page. Perlite is exellent for amending soil used for container grown plants and for starting seedlings in a soil or soiless medium. It insures better drainage and aeration which results in a larger, healthier root system. Planting large flower pots. Use styrofoam to fill the pots half way. This provides good drainage and makes it easier to move the pots. 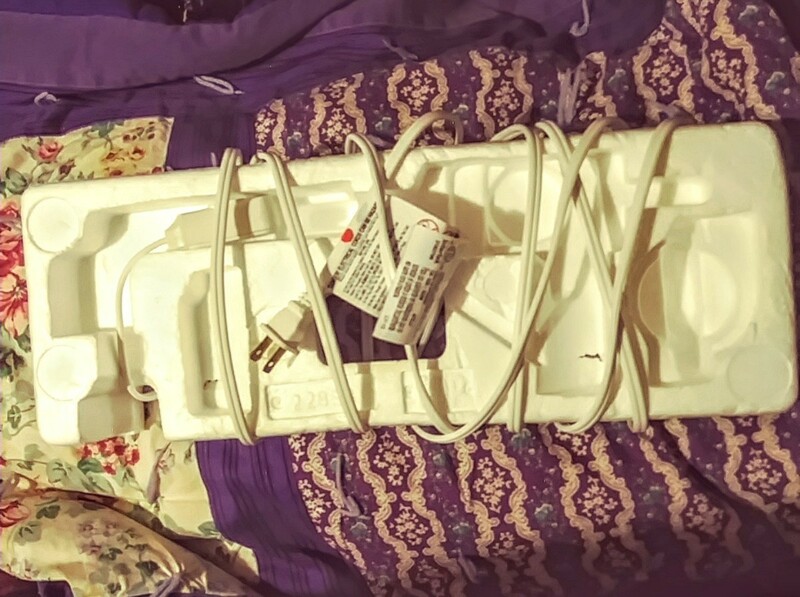 Styrofoam pieces, often found in gift packaging, can be used to store items such as extension cords, Christmas tree lights and the like. This keeps styrofoam out of the landfill and provides extra storage at the same time. Styrofoam! I re-use all I can. When drying starched items (ie: ornaments), I cover a strip of styrofoam with plastic wrap, stretch to form and pin to place. 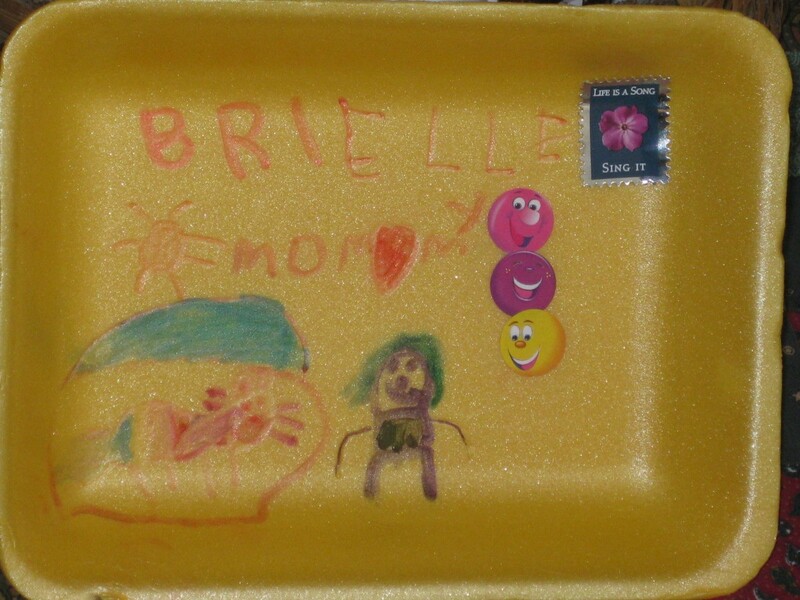 Styrofoam meat trays or plates make great bases for children's drawings or decoupage projects. If there is a mailing service in your area they usually will take and reuse styrofoam from packing boxes, also the styrofoam peanuts, and plastic bubble wrap. I've been doing this for years and am glad that I am not contributing to the land fill. I give these to my 2 little boys ages 2 and 4 to hammer golf tees into; older kids could possibly hammer nails. The material does not fall apart and actually closes up when the pegs are pulled out. I use 'polystyrene' to make mirror frames. I cut it with a craft knife into the shape I want, then cut out a hole in the middle. I use old broken mirror that I cut into shape with a glass cutter (use gloves and goggles) and tape to the back with wide masking tape. Use an old paper-clip for a hanging hook, just bend to shape and push in. Then I use paper mache to cover the entire thing. Leave to dry then paint and add your own decoration as desired. If you have little ones underfoot, there is no limit to the rainy-day, crafty fun styrofoam can provide. My son and I made a castle, a rocket, a schoolbus.... For the castle, cut each "tower" out of the weird, thin long pieces (Big 'ole kitchen sciccors should work), and attach them to the main "building" (the biggest, boxiest piece) with toothpicks and glue. (hot glue melts the styrofoam, so stick to Elmer's). You can paint it with Tempera paint. (many other paints will also melt the styrofoam, but tempera works very well). Experiment and have fun...then give the creations to family members as gifts. We do it all the time, and everyone loves watching his "sculptures" evolve as he gets older! I do a lot of shipping to my family out of state and I save them and use them myself for shipping. It never fails that I have a box with an indented top that I need "filler" that doesn't weigh much and the styrofoam comes in handy. I also save bubble wrap, packing peanuts, and that foamy wrap that comes on items to save for the same purpose. One kind of this styro packing material crumples up into little balls of foam, suitable for filling bean bags. I make the bean bag out of scrap fabric or old clothing (pant leg or shirt sleeve is great) and put a chunk of the stryo material inside, then sew it up closed. I then let the kids break it up, inside the bag, into pieces. They love to do it, too. Yes, I am recycling styrofoam panels and blocks everyday. I am developing new panels and blocks for construction and craft projects. For more information please email your request. Here are a few links. A lot of places will recycle styrofoam peanuts but it is more difficult to find somewhere that will recycle the large pieces. I would check with the disposal company or county waste division about what to do with the styrofoam and if there is anywhere that takes it for recycling. You don't mention where the company is located so I can't really help more. how much styrofoam peanuts do i use to make a bean bag chair? For most of the country, it may be too long a drive to be worth the bother, but... There is a company in Tucson, AZ called Mikey Block that recycles clean styrofoam and turns it into building materials. They gladly accept whatever you drop off. I find the Stephanie Green's suggestion in using Styrofoam for construction panels and building blocks. Will gladly bring the stuff to you but, it will cost a lot being located in the Asian continent. If I may, would you share your recycling technology for this purpose? Can Styrofoam be ground up and used as attic insulation? I'm wondering if this is a safe practice with the heat generated in an attic in the summer-time. I'm talking about the rigid panels that come as form-fitted packaging. Right now, I just break it into small pieces. If there is a machine available to grind them into pea-sized particles, it would be even better. I have 4 of these Sytrofoam blocks (11.4"x11.4"x7") from a shelving unit and nothing that needs to be stuck into them (i.e. screws, etc) and they are solid. What can I do with them that is either creative (I do have access to very sharp cutting instruments) or useful? I don't have kids and live in Greenville, SC and don't know of any recycling places for them. Any ideas? I only have one day to figure it out (don't ask). Your one day may be over? I like using these for "legs/stands" under a board or rack where I need a quick (maybe temporary) shelf on a counter or ? I have seen photos tacked to blocks this size and stacked on top of each (at an angle). I would be more prone to using them for packing or for partial filling a large pot so it would not be so heavy and would drain well. 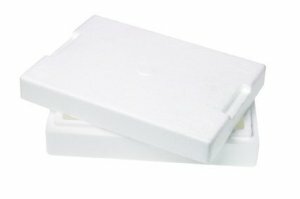 Are there any fun or useful suggestions, tips, or samples of items made from Styrofoam trays that meat from the supermarket comes on? Thanks for the consideration and time. The hospital I work for throws a lot of Styrofoam coolers away. I hate that; what can I use them for? I now plant my outdoor plants in them, but what else? In trying to keep the landfill free of styrofoam, I clean and reuse mine for a lot of things. I use styrofoam under planters, as trays for under craft projects (like those using glitter), etc. 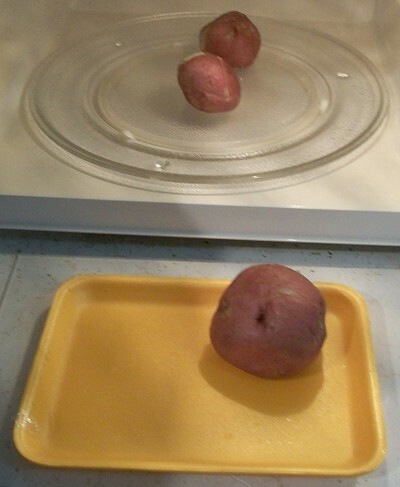 Today, I was nuking some spuds for fried potatoes and transference them from the glass tray to the cutting board. Spuds tend to roll off if carried far, so I popped on a tray and they transferred just perfectly. You can do the same for hot bowls of cereal, soup, or anything you need a little bit more "friction" and help with spillage. I hope this helps! This manmade material lasts forever. There are a number of ways to use these containers for crafts and even making furniture. 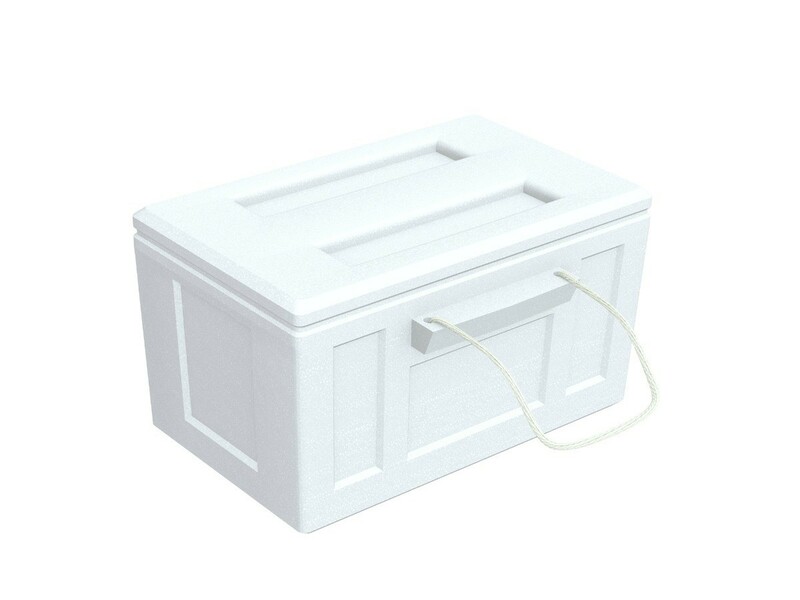 This is a guide about uses for small styrofoam ice chests. This is a guide about uses for Styrofoam meat trays. Reusing Styrofoam packaging helps keep it out of the landfill. 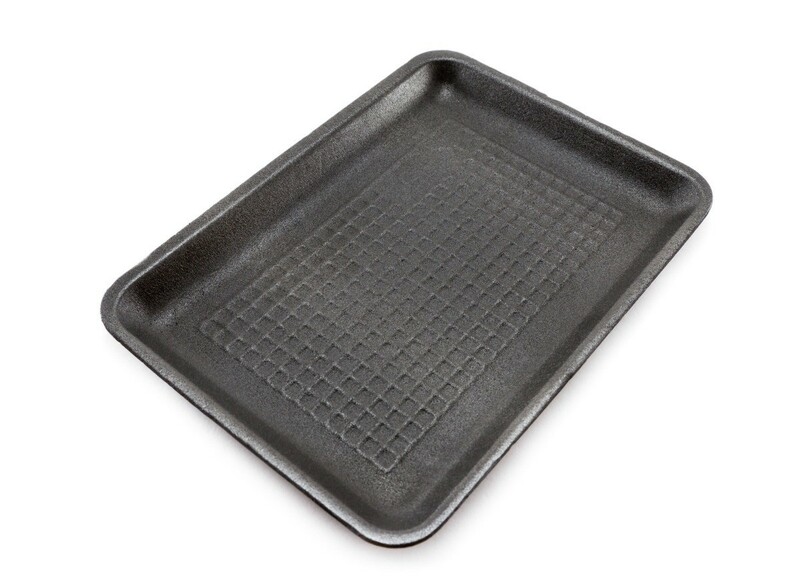 There are a variety of uses for the trays used for packing meat.